Chic, sweet, and to the point. 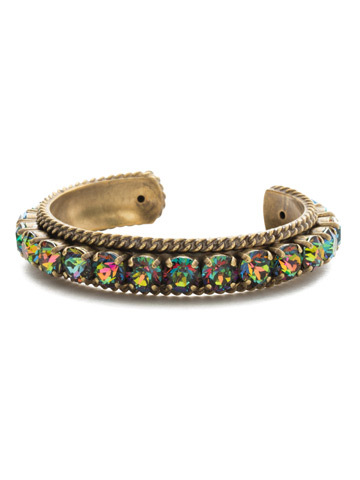 You'll adore adding this cuff bracelet to your jewelry box. A single row of circular crystals on an ornate band makes this piece the must-have for the season. Go bold or be understated chic, either way you'll shine!